ZenHub now available for web and mobile devices! With our latest release, ZenHub introduces access to all the functionality teams know and love in the extension, but now accessible across all browsers and mobile. 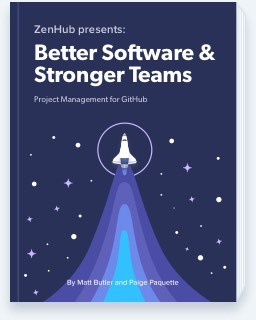 Packed full of all the same features you know and love in the ZenHub extension for GitHub, app.zenhub.com offers teams a leaner experience with easier navigation —but in a faster and easier to use interface. Giving users who are unfamiliar with GitHub an easier-to-navigate option, ZenHub still integrates close to project source code, ensuring accurate, up-to-date data for managers and project leads—All while supporting a fully responsive experience. This means not only can ZenHub be accessed in a user's browser of choice, but it can also be accessed on the go. Easier to collaborate, team members who have to step away from their desk or provide an update on-the-go no longer have to block their team due to lack of access to ZenHub information. Ready to get started? head to app.zenhub.com. Want to what else we've been up to? Visit our full list of new features, bug fixes, and workflow enhancements in our release notes here.